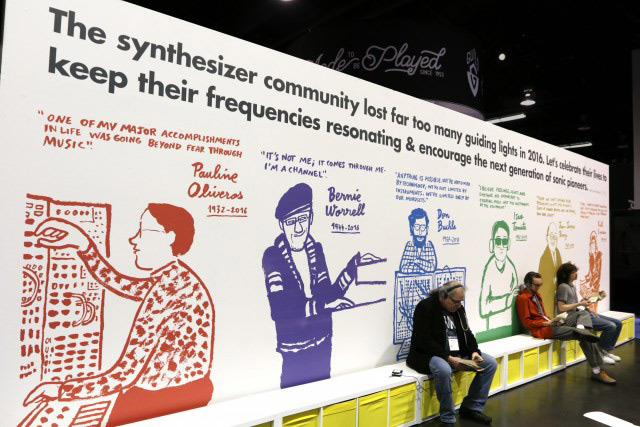 What Moog Synthesizers can teach the music industry about trade shows. Every January, over 100,000 attendees descend upon Anaheim, California, to investigate the latest and coolest music gear at NAMM. 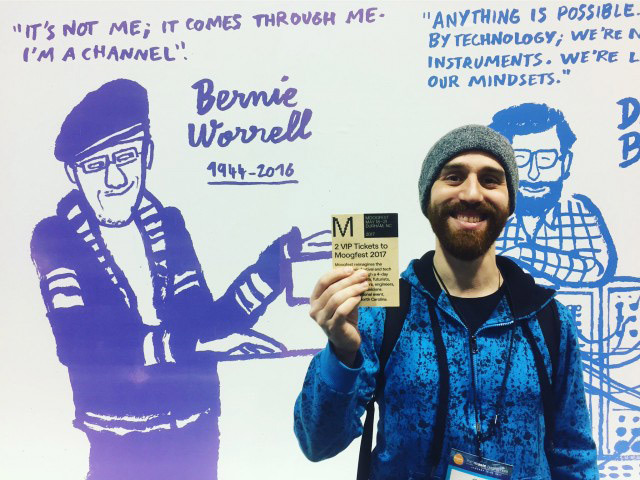 Hundreds of vendors showcase equipment ranging from concert pianos to boutique guitar pedals to high technology DJ products—so it was an outrageous idea for Moog to arrive with a booth that did not showcase any new products. 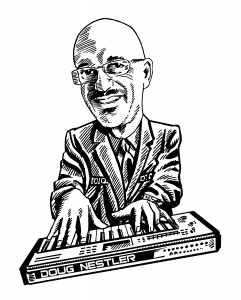 Instead of featuring synthesizer equipment, Moog recognized synthesizer pioneers. They celebrated brilliant music pioneers like David Bowie and Keith Emerson who changed the electronic music landscape. What can the rest of us learn from this bold concept? 1) Brand is more important than gear. Moog used their booth to express the spirit behind the product. They understand that before a musician or producer will spend money on your gear, they need to trust your brand and understand why it is relevant. 2) Create a space that is welcoming to visitors. Trade show booths typically induce a state of extreme claustrophobia. 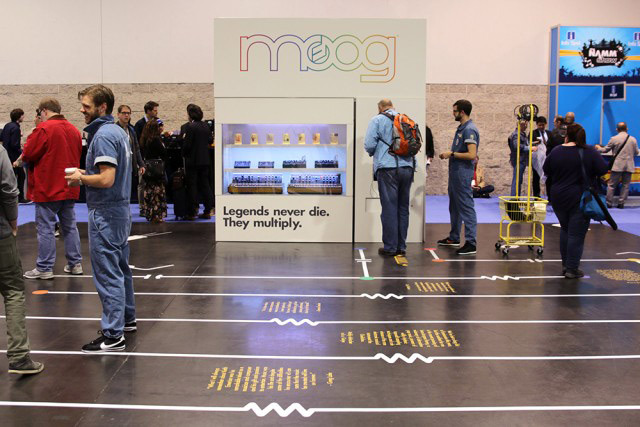 Moog turned this premise around with a 50’ x 50’ open space, providing a welcome break from the ever-present crush of NAMM Show attendees. A serpentine floor graphic guided dozens of visitors through their space while educating them about electronic music pioneers. Moog printed quotes from these inspirational artists on the walls and floor and handed out retro-style Walkmans that played their music. Instead of devoting space to gear, they invited attendees to reflect on the artists who shaped music history. Moog reminded us that an instrument is only as good as the artist. It’s not about the hardware; it’s about the music. 3) Use social media to reach beyond the booth. Visitors were invited to pick one of the six featured artists and take a selfie in front of a large illustration of that artist. Once the post was completed, the participant was awarded one of several creative tools: a notebook featuring one of the celebrated artists or tickets to Moogfest or an actual Moog synthesizer. Moog understands that the primary goal of a successful trade show booth is for your audience to embrace and share your brand. It’s that simple, but that important. 4) Don’t be afraid to have fun.